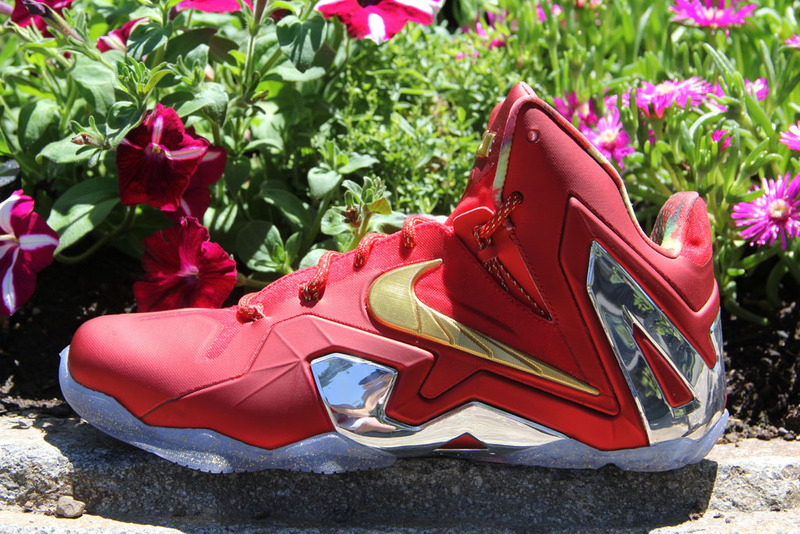 Did Nike have a LeBron 11 Elite planned for this year's Champion Pack? 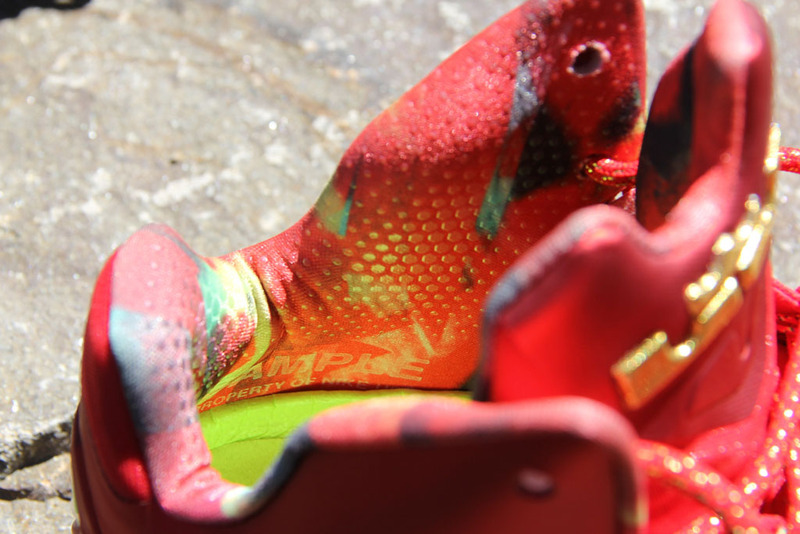 We may never know for sure, but this sample colorway of the postseason LeBron 11 is decked out in a scheme similar to last season's celebratory Elite 10. 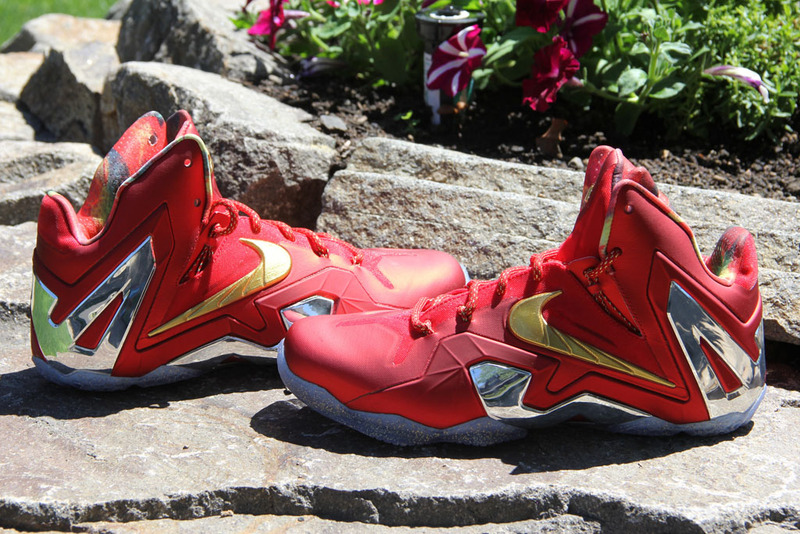 The shoe's red upper is highlighted by metallic gold and silver detailing. 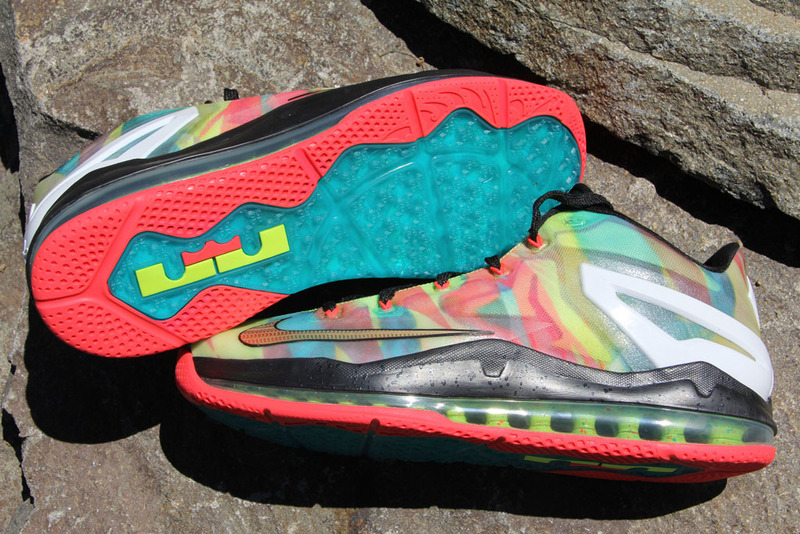 Other features include a multicolor inner lining and flaked translucent outsole. 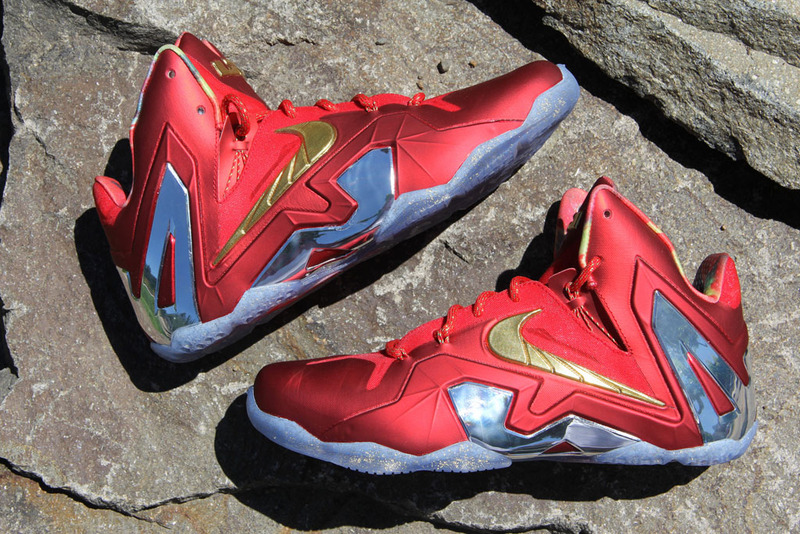 Is this the best colorway of the LeBron 11 Elite? 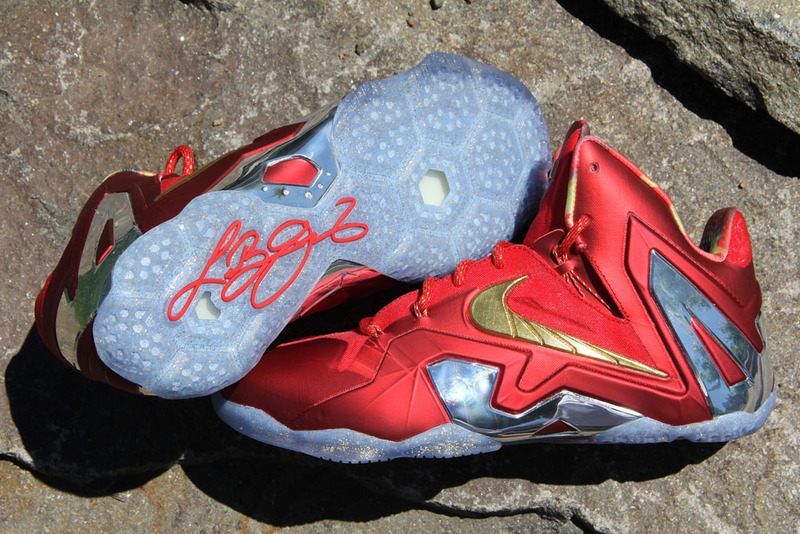 UPDATE 7/8: Here's a detailed look at what may have been planned for LeBron's new Championship Pack. 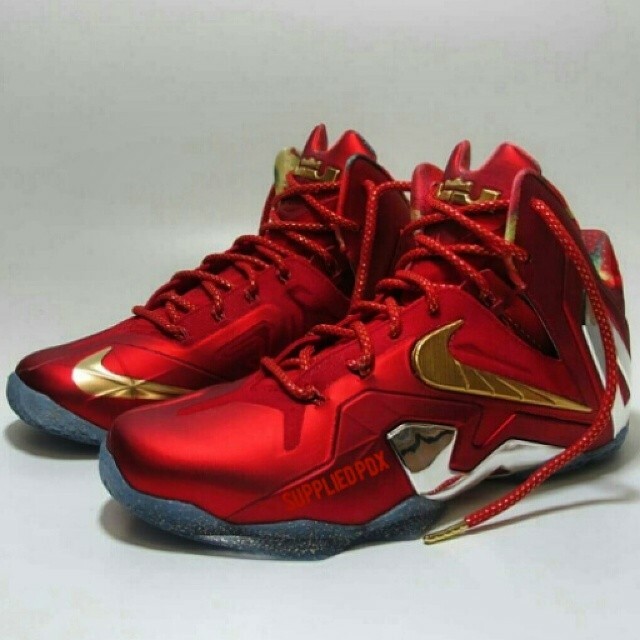 The red 11 Elite has also been spotted with ready-for-retail packaging in recent weeks. 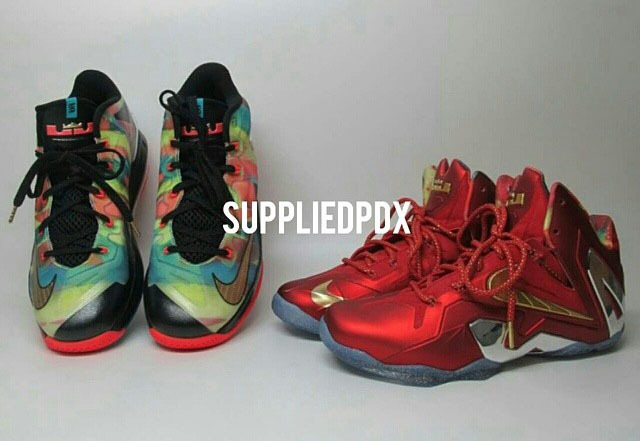 We're still awaiting official information on both shoes. 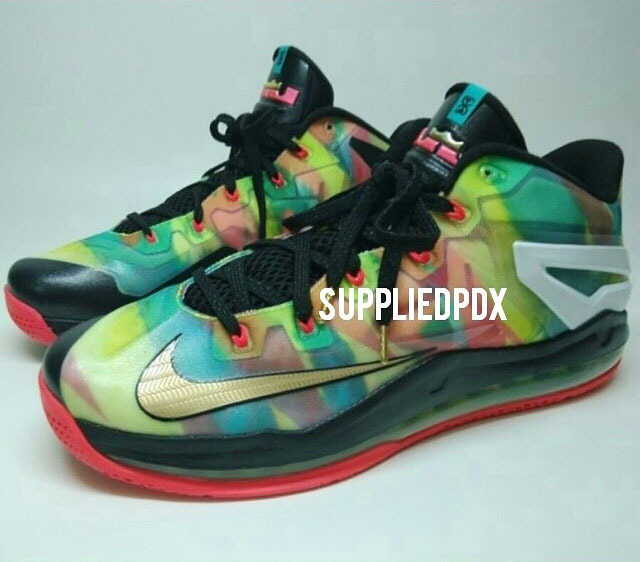 Images via Supplied. 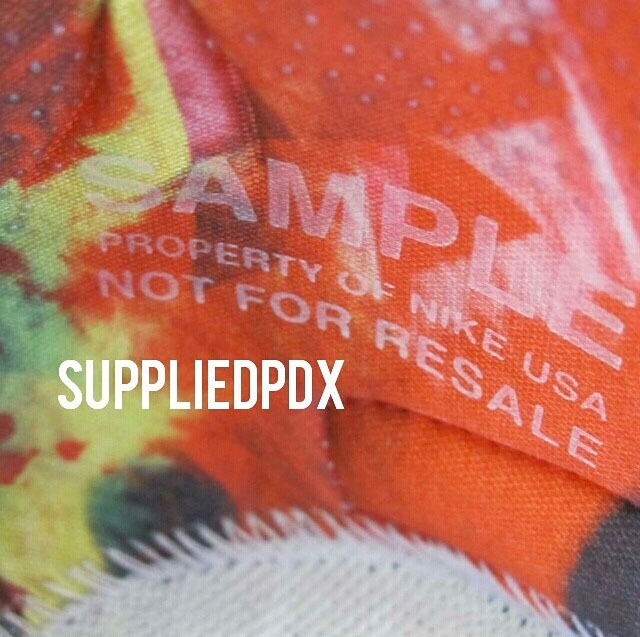 UPDATE: There's also a photo of the low-top, rumored to be the other half of the now scrapped Champion Pack. 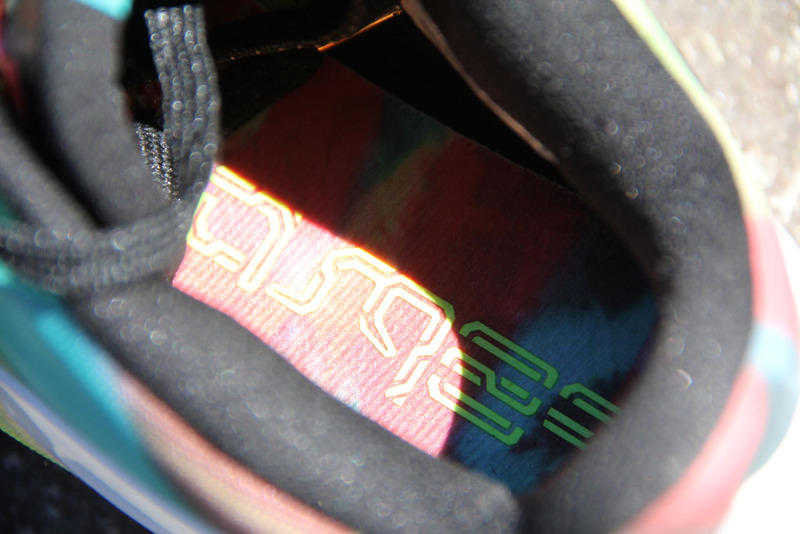 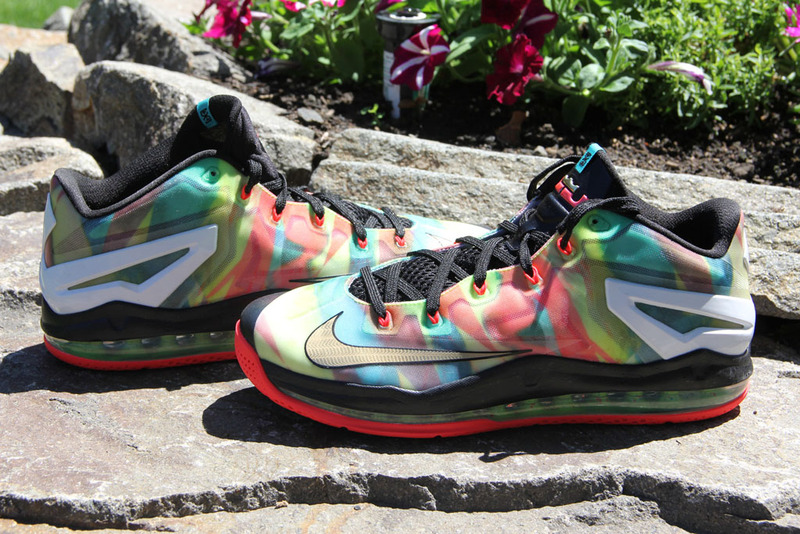 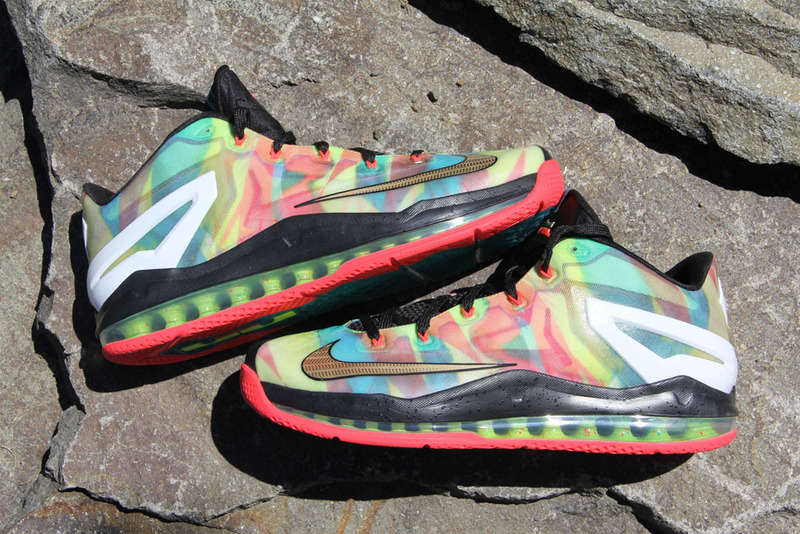 The shoe features a multicolor upper, similar to the lining of the Elite 11.